Matt Hill's BlogComputers, gadgets and technology. Microsoft have released the ADMX templates for the Windows 10 1703 Creators Update. 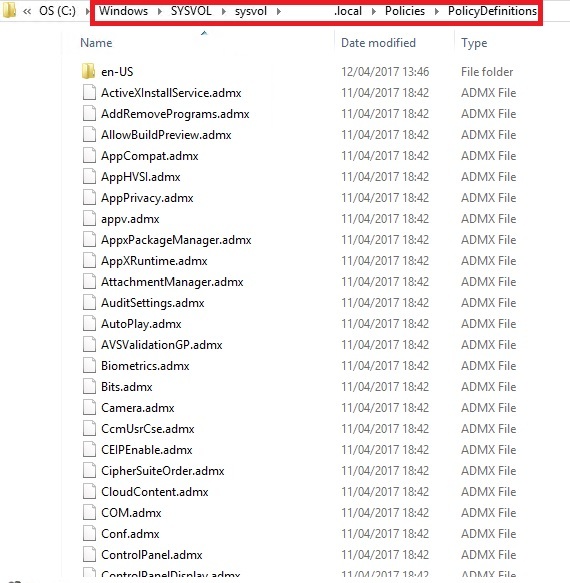 Updating your ADMX templates will allow you to configure GPO objects specific to the Windows 10 1703 Creators Update. 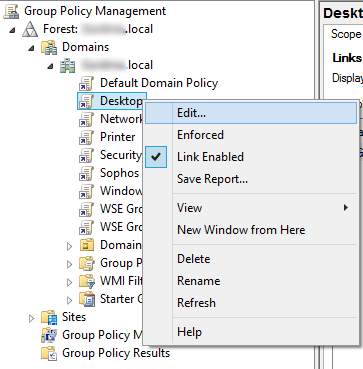 In addition if you are using Server 2012 for example and have never installed any previous ADMX Templates For Windows 10, installing this ADMX Template update will give you the ability to configure Windows 10 Group Policy settings. 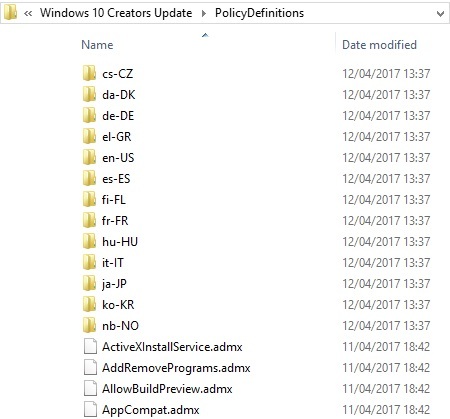 Next install the updated Administrative Templates for Windows 10 1703 Creators Update, i simply installed these to the default location. 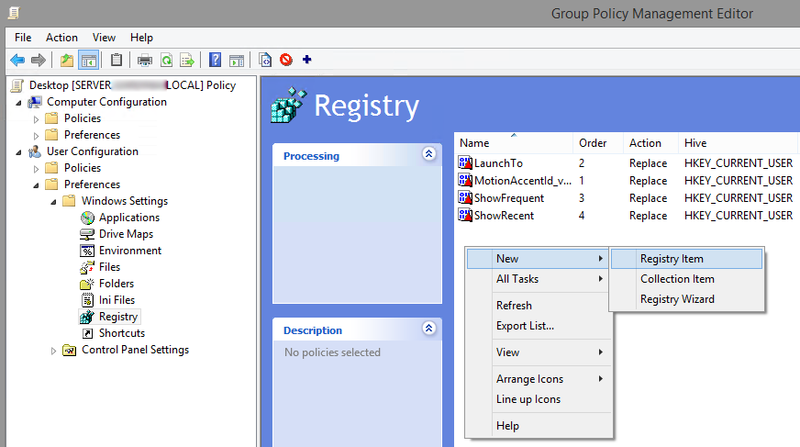 If the PolicyDefinitions folder does not exist, simply create this. If you have never installed ADMX Templates before this folder will likely not exist. The Windows 10 Anniversary Update (1607) introduced a new annoyance for me, moving the Action Center / Notification to the right of the clock in the system tray. Maybe I’ve just used Windows for too long and am so used to the clock been in the same place, however this minor change really started to annoy me after a couple of days, especially as i’ve never had any use for the action center anyway. Thankfully Windows 10 has some options hidden away that allow users to turn system icons on and off. So How Can I Disable The Action Center / Notification Icon On Windows 10? The easiest way to disable the Windows 10 Action Center / Notification Icon is to do the following. Click “Task Bar” then scroll down the list of options until you get to “Notification area”, here you will see a link to “Turn system icons on and off”. This is a useful work around for people who are annoyed by the Action Center changes in the Windows 10 Anniversary Update (1607), however I would personally like to see the option to re arrange the order of system icons added. It’s possible to move some icons such as the sound and network icon, so why not the clock and action center? 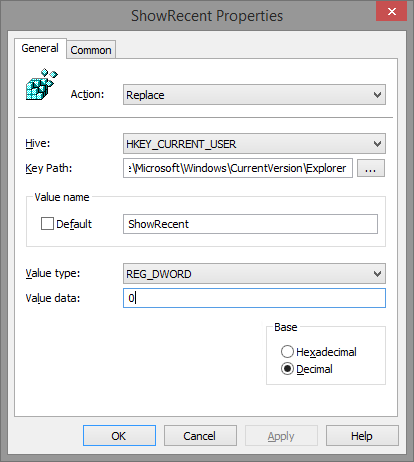 It’s easy to customise Windows explorer to your linking on a single PC, however if you want to make these changes for multiple users using multiple computers on a domain you really need to be making the change though group policy. 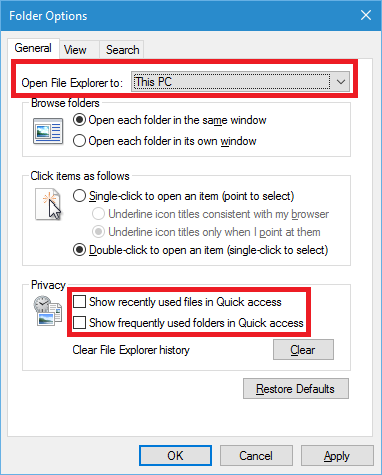 Windows 10 gives you the option to open new explorer windows to “This PC” instead of the quick access layout and also gives you the option to disable showing recently used files in Quick access and showing frequently used folders in Quick access, however their is no GPO to easily configure any of these settings. That’s it, really simple to achive once you know how! I hope this helps somebody else out.